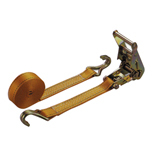 Ratchet Tie Down - Pan Taiwan Enterprise Co,. 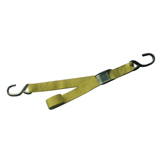 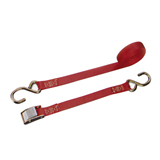 Ltd.
Two pieces of polyester webbing, with one fixed length and one adjustable length for maximum strength and superior abrasion resistance, wind handle ratchet with bolt and nut assembly for easy adjustment at the loading site work and on-the- road checks. 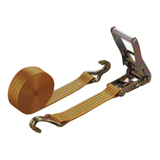 Good for wrapping around carriers, cases, lumber......etc.